Exclusive Discounts for Metro Riders | / Addco Party Rentals, Inc.
We have 365 excuses for a party. Tents, canopies, dance floors, tables, linens, bars, chairs, wedding arches, kneeling benches, and much more! Metro Perk: Mention "Metro," or "Crenshaw Project," or bring a printout of this page to receive a 10% discount on delivery orders. 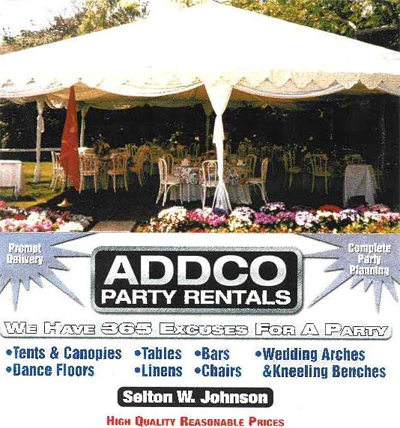 Go Metro: Addco Party Rentals, Inc. is located at 5550 W. Manchester Av. Find your best route with the Trip Planner. More Info: For information email addcopartyrentals@yahoo.com or call 310.672.4977, 310.216.9865.